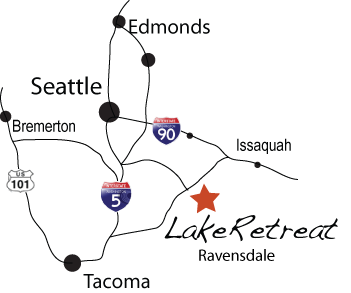 Lake Retreat can accommodate groups as small as 10 guests and as large as 400 guests. 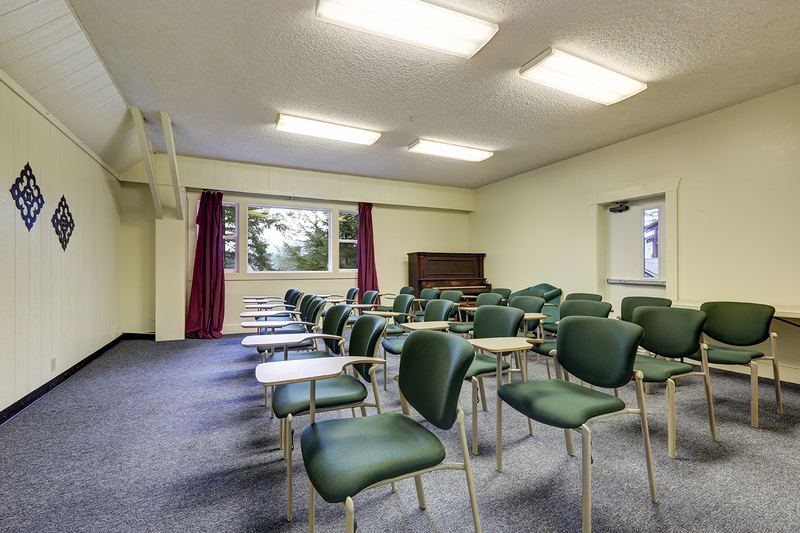 Along with your sleeping area, all groups will be assigned at least one meeting space. All lodges have meeting space inside. 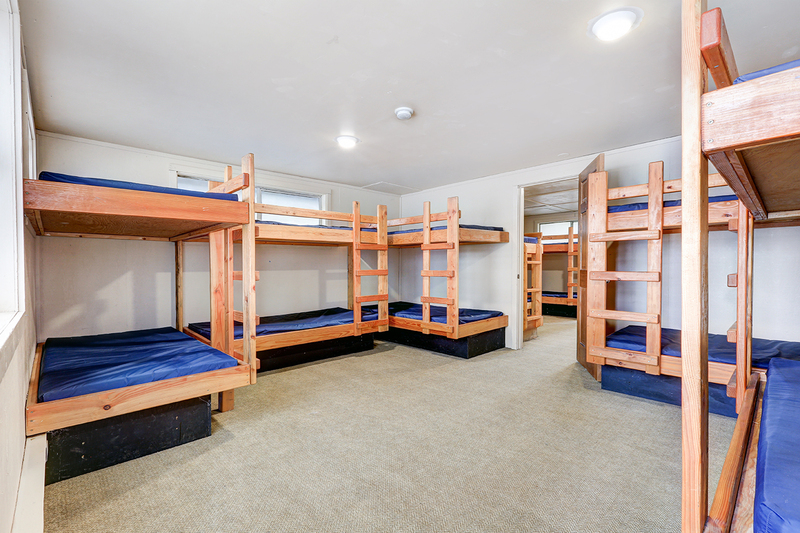 All accommodations require that you bring your own bedding, toiletries and towels. Visit the FAQ's page for important information. 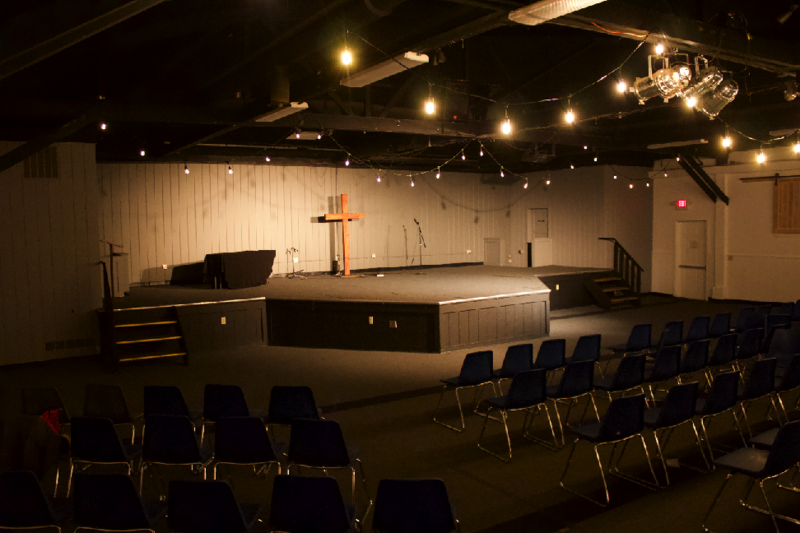 Fireside lounge is the perfect place to do a Bible study or small group gathering - read a book, play games, or just hang out. It's equipped with *wifi, coffee, tea, and bathrooms. Upon request we can also open the doors to our snack and smoothie bar! Fireside Lounge is home to our Cider Sip and Paint activity. Check it out on our Activities Page. 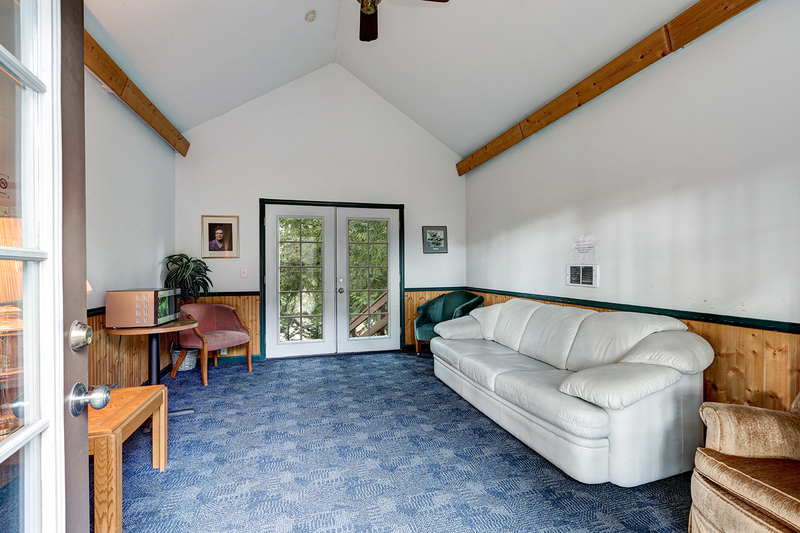 Fireside is a common space that is open to all guest staying at Lake Retreat. Lundgren Lodge Meeting Room is inside of the Lundgren Lodge on the main floor. It seats 50-80 guests and has a large deck right off of the meeting space, over-looking the scenic lake. It also features a kitchenette with included coffee service, microwave, sink, and fridge for snacks. It has a sound system with 6 channels (1 mic included), as well as a large screen TV. Okerson Lodge meeting space holds over 100 guests and has a gas fireplace, large screen TV, microwave, fridge, sink and included coffee service. 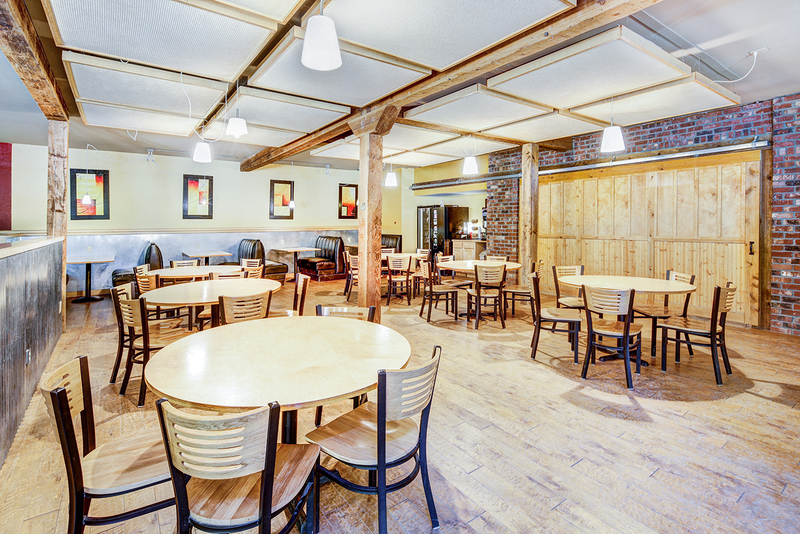 This meeting space is located on the main floor of Okerson Lodge and is rented along with that building. *Wifi is not available in this lodge. 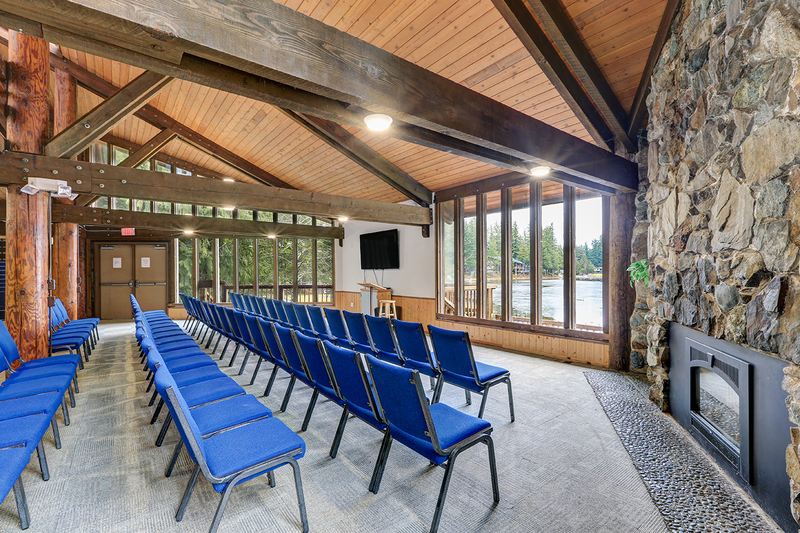 The Chapel is rented out with the Lakeside Cabins OR with groups of 100+ guests. The Chapel has *Wifi and air-conditioning. 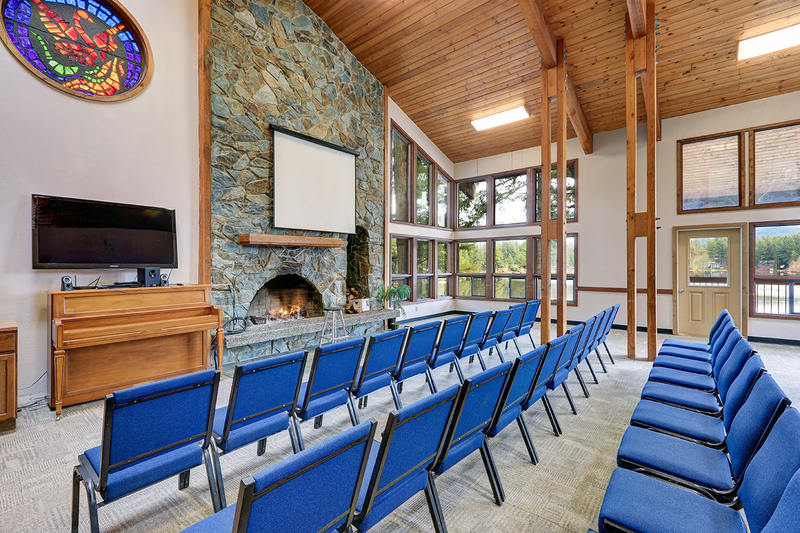 Alder Room and Maple Room are attached to the back of the Chapel with an exterior entrance. Both spaces seat 25-35 guests each. Maple Room has a view of the Lake and Alder Room has a view of the field. 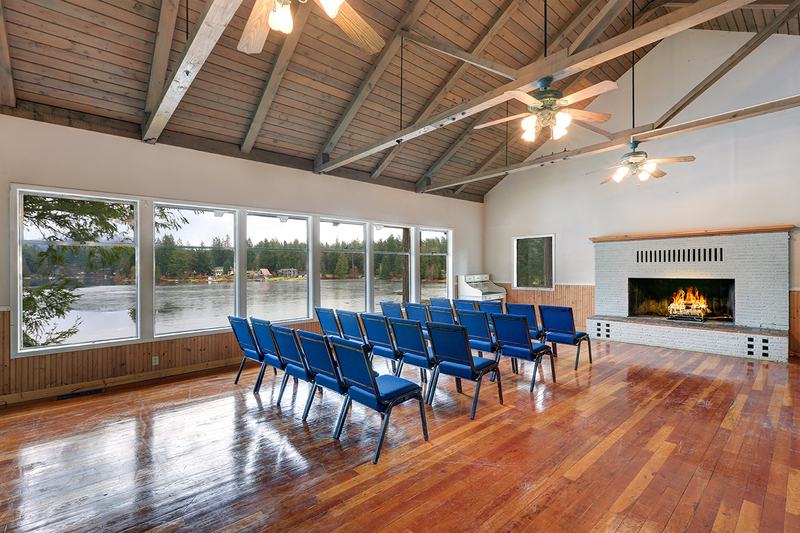 These meeting rooms are typically rented out with the Lakeside Cabins or the Hilltop Cabins. Lakeside Cabins can sleep 60 guests and is often paired with Chapel/Alder/Maple for meeting space. 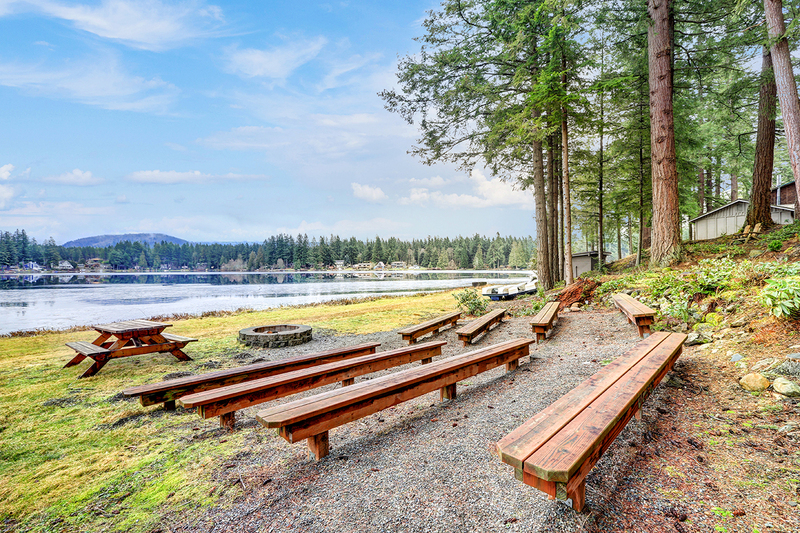 Lakesides are located just steps from the Chapel and Chapel Restrooms. Johnson Lodge is perched right up against the edge of the lake. The meeting room can hold 40-60 guests and can sleep 42 guests between it's three floors. It has coffee service, fridge and microwave for snacks. It also has a second, smaller meeting space on the lower floor that can hold about 25 guests. It's a great spot for breakout sessions. This building is only available from April-September. Kay Norr Lounge is located between Hilltop Cabin 2 and 3 (with separate entrance). It is often rented out along with Hilltop Cabins. It is a cozy space that can seat 6-12 guests. During the summer, this space is often used for a group's First Aid and Nurse's Station as it has a fridge and can be locked separately. Upon request, we set up the wood, kindling, and lighter for your group! 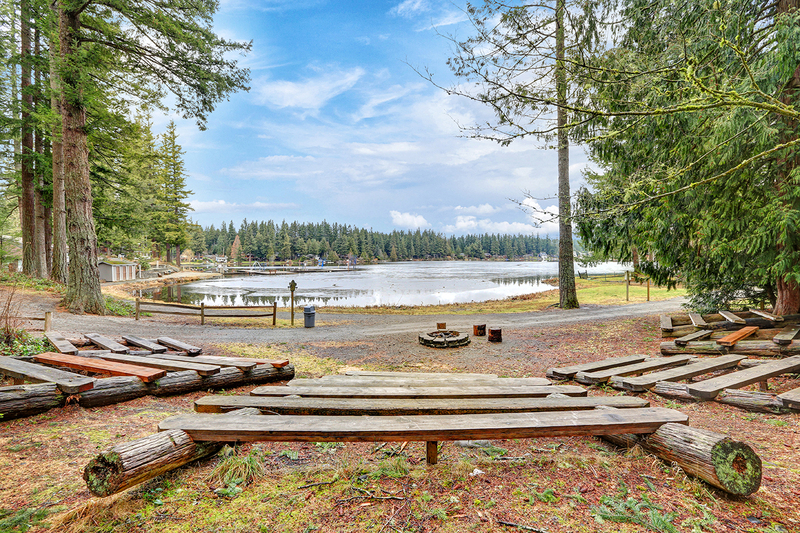 The large fire pit is located near Okerson Lodge, and the small fire pit is near Lakeside Cabins, Chapel, and Lundgren Lodge. Reserving a camp fire pit is first come, first served, so let Guest Services know that you are putting that on your schedule. Please be sure that you have wrapped up by 10 PM in order to abide by the noise curfew. *Password protected Wifi is available throughout most of campus, although it and all technology/audio/visual equipment is not guaranteed. Your guest group coordinator will receive the password at check-in and may or may not choose to give it out to campers/guests. Lake Retreat does not provide tech support.